A Maryland man is accused of fatally shooting his stepdaughter's father during an argument Saturday. 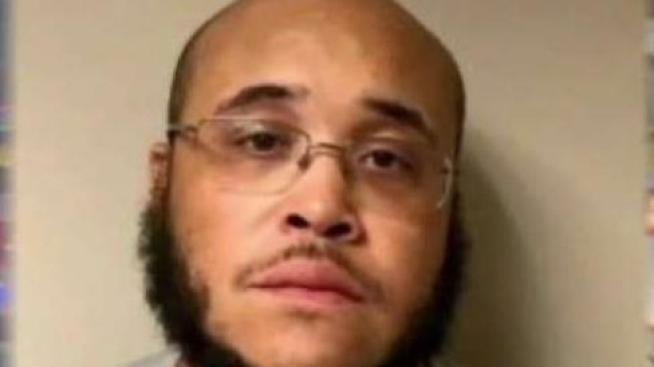 Marcus Burns, 38, of Camp Springs, is charged in the death of 35-year-old Damon Palmer of D.C., Prince George's County police said. Burns and his teenage stepdaughter had got into an argument. The 16-year-old called Palmer, her biological father, to come pick her up. The two left together, Prince George's County State's Attorney spokesperson Gina Ford said. After dropping his daughter off, Palmer returned to the home with a friend. Then, Burns shot the two men multiple times, Ford said. Officers responded to the home on the 6200 block of Maxwell Drive about 12:50 a.m. Saturday, where they found Palmer and his friend outside with gunshot wounds. The second victim was taken to the hospital in critical condition. Police won't name him because he is a victim and witness to an ongoing investigation. Burns is charged with first- and second-degree murder and other related charges. He's being held without bond. Burns' wife appeared in court on Tuesday and begged the judge to release him. The judge denied the request. His wife refused to speak with News4. Police said Burns admitted to the shooting, but his lawyer said in court that he may be working on a self-defense plea. His next court date is set for July. Anyone with information in the case is asked to call the Homicide Unit at 301-772-4925. Callers who wish to remain anonymous may call Crime Solvers at 866-411-TIPS (8477), submit a tip online at pgcrimesolvers.com, or use the P3 Tips mobile app.